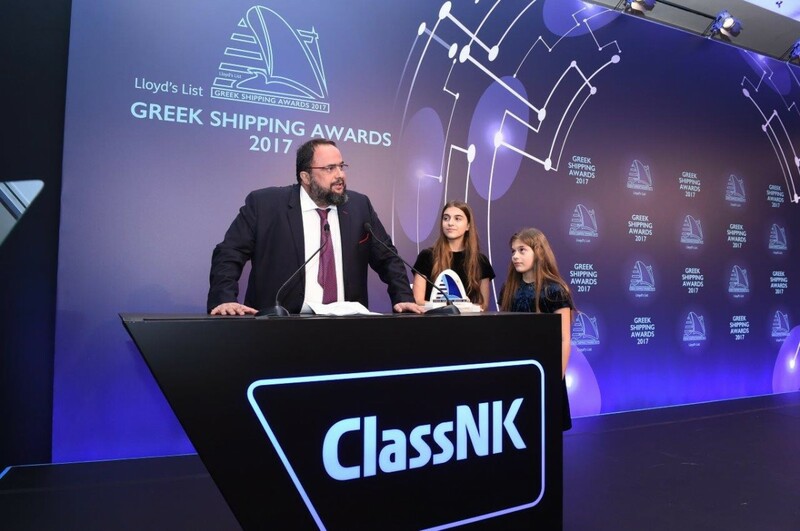 Athens, November 26, 2017 Capital Ship Management Corp. announced that Mr. Evangelos Marinakis, the Chairman of Capital Maritime & Trading Corp., was voted as Lloyd’s List’s “Greek Shipping Personality of the Year” for 2017. The award caps a very active year for Mr Marinakis and the Capital Group as it expanded significantly across the tanker, container and dry bulk sectors growing the fleet under management by 17 vessels to a total of 71 vessels including 45 tankers, 19 container carriers and 7 bulk carriers. 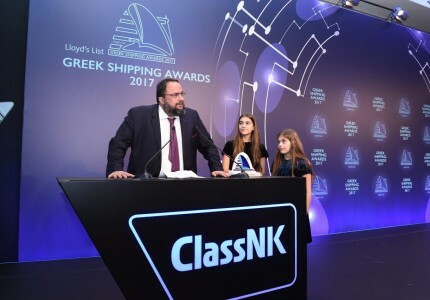 Beyond the shipping sector, in 2017, Mr Marinakis continued to make an impact both in Greece and internationally across a range of other business and philanthropic activities. These included his acquisition of storied English football club Nottingham Forest; the acquisition of Greek media group DOL; the dedication of a new monument in Piraeus to the victims of the Pontus Greek genocide; the sponsorship of a special conference in partnership with Harvard University focusing on football's social responsibility; the renewal of a ground-breaking partnership of Olympiacos with UNICEF to vaccinate children against preventable diseases. 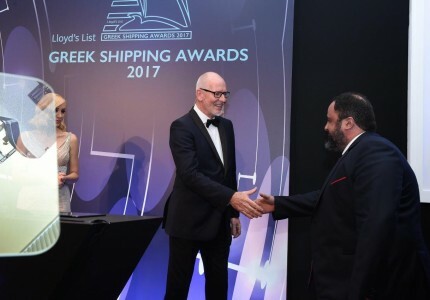 The 14th year of the Greek Shipping Awards and gala presentation dinner was held at the Athenaeum Intercontinental in Athens and was attended by around 1,200 guests, including many of the leading figures in the maritime industry. “Evangelos Marinakis was the outstanding candidate for this year’s award. His dynamic deal making across Capital Group’s three sectors of tankers, containers, and dry bulk reflects the positive outlook and trends that we are increasingly seeing in our industry. 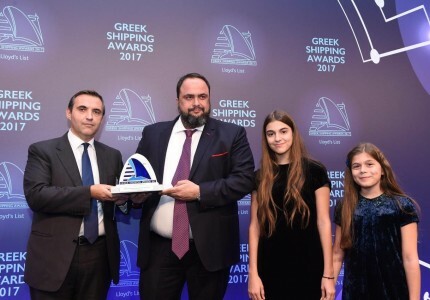 Mr Marinakis has consistently been ahead of those trends, as his $1 billion in investments in 2017 illustrates. 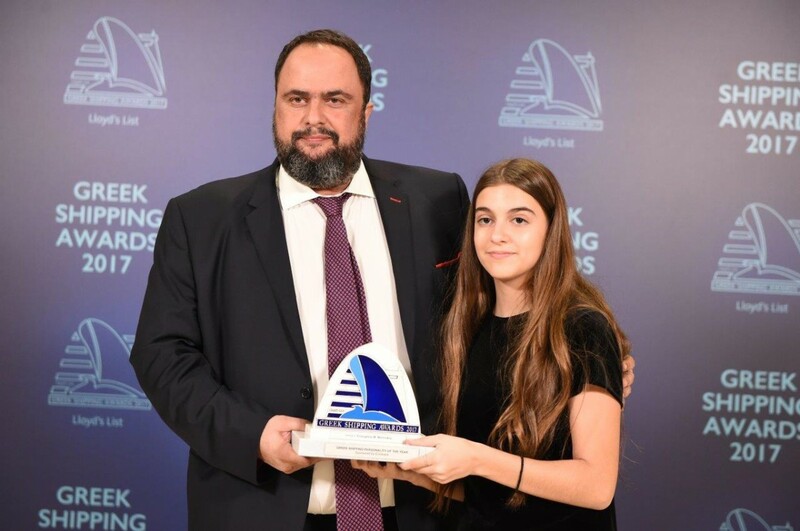 Evangelos Marinakis commented: “First of all, I would like to thank Lloyd’s List for organizing this evening’s awards event. They are the traditional voice of our industry and we are all grateful. 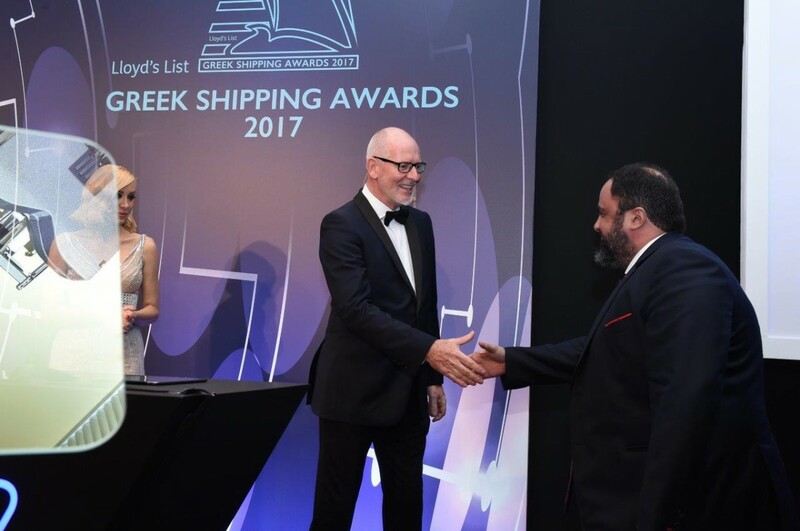 I’m proud of the coincidence to be born Greek and be involved in Shipping. 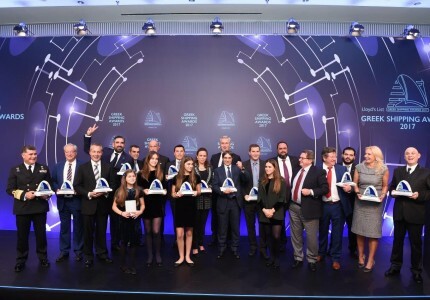 In the shipping world, you learn from the very beginning how to deal and compete with high waves, with enormous companies and very talented, bright and experienced people. Therefore in order to really succeed at a high level, you must work very hard, Perform, have Faith and be consistent and proactive towards the requirements of our industry, which increase almost daily. During this magnificent, but also difficult voyage you learn how to fight and be a winner. In order to manage all this, you need to have the right colleagues on your side, the best skillful crews and a Family who will stand behind you and support you. I thank them all very much for their faith and loyalty towards myself. 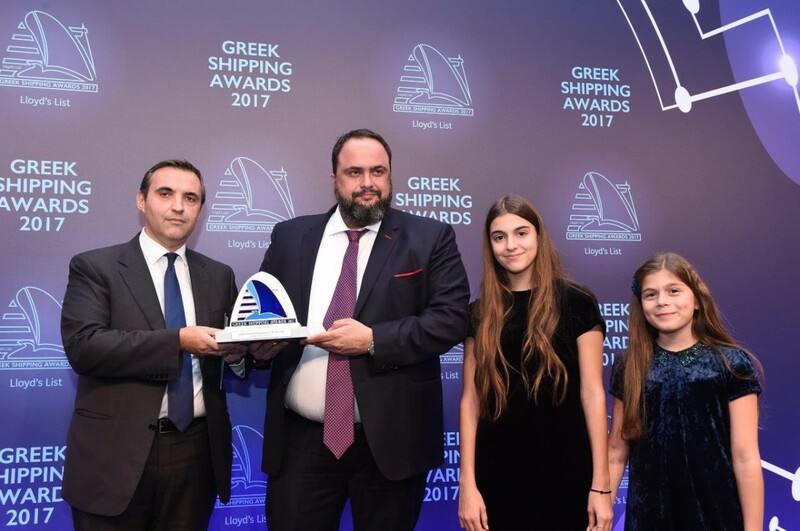 Our success in shipping allowed us to make important contributions and be winners in other areas: sports, including football of course in Greece and in England, in the Media sector, and in our beloved Municipality of Piraeus. 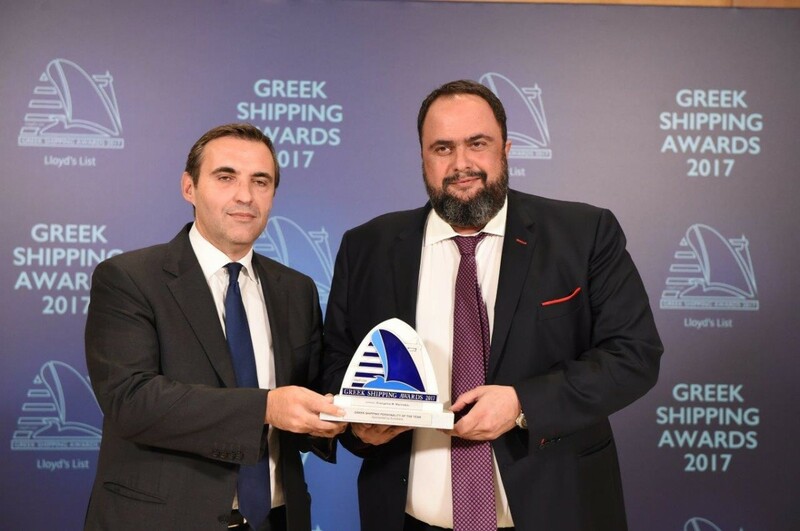 Our achievements in shipping give us the power to try our very best to contribute to our society. 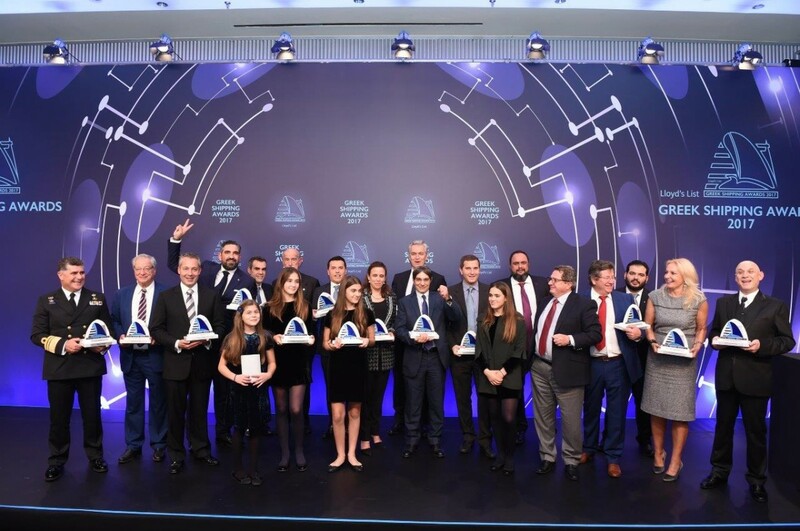 The independence from any Greek government (especially SYRIZA-ANEL) gives us the freedom to express our opinions, our views and expectations for a better future for Greece.